In 1998, Yellow Brick Road established a new Infant I classroom for 8 babies. This program ranges from ages six weeks to twelve months old. The teachers work with these infants to establish regular sleeping and eating patterns. 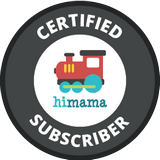 They use "Creative Curriculum Teaching Strategies" to plan their lesson each week and provide appropriate toys for education, teething and entertainment. ​Our Toddler class provides a stimulating and fulfilling environment, supporting the young child’s need for exploration and emerging drive for independence. “Creative Curriculum”, approved by the Virginia Department of Education, offers developmentally appropriate lessons and activities that support active learning and promote children’s progress in all developmental areas, encouraging them to become lifelong learners. ​​YBR offers a developmentally appropriate based preschool program for two yer old children. Creative Curriculum is approved by the Virginia Department of Education. Children choose activities in centers designed to help them learn social and academic skills. Children concentrate on being independent by building self-help skills, learning to share, to listen to stories, to develop their fine motor and gross motor skills through simple projects and to be members of a caring community of classmates. ​This classroom participates in a kindergarten readiness program following Creative Curriculum that includes circle time, table time, and center time. The children are guided by their teachers as they develop skills needed to be enthusiastic readers when they enter kindergarten. Each class has special learning centers in which children can work alone or in groups to develop math, pre-writing, pre-reading, fine motor, and gross motor skills.